The Apple Watch has been out in the wild for a few months now but there are still some secrets behind that crisp, little screen waiting to be uncovered. The watchOS 2 update for the Apple wearable is coming out in the fall, which should make it an even better device, but right now there aren't a lot of features that make it stand out from the crowd. At least. that's what it may seem like. On closer inspection, there are definitely some helpful and fun features that Apple hasn't touted as much as the Digital Crown or its series of watch faces. 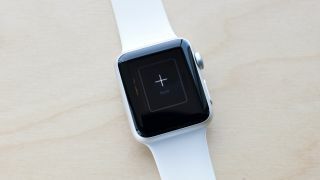 In an effort to improve your current Apple Watch experience before the big update, we've highlighted these 10 things you probably didn't know the Apple Watch could do. When engineers at Apple showed Steve Jobs a prototype of the original iPod, Jobs was adamant that users should be able to access the options screen in only three clicks. Fast-forward to today, and Apple has continued this philosophy with Force Touch. Not many know that you can access options by just pressing down on the Watch's screen, but you can. That's right: simply hold your finger down on the screen and you will have a plethora of options at your disposal. These include deleting notifications after swiping down, changing music sources when the music app is open and composing texts or tweets. More favorites include switching up Activity goals, or using Force Touch in the Maps app to search addresses and share your location with a specific contact. If you simply say "Hey Siri,"Apple's wily assistant will pop up to help you find whatever it is you are looking for. Want to play some music or open an app? Just give the instructions and it'll take you there. Want to search for the latest sports results? Siri will access the information from the internet via your phone and tell you how your team is doing. Give it a try. Before you know it, you'll be spending more time using your voice than your fingers. However, a quick press-hold of the Digital Crown will produce Siri as well, if you'd rather not say anything at all. The Apple Watch can store your music collection directly on the device. It will also let you stream your music to any Bluetooth-enabled speaker or headphones via Airplay. Use Force Touch to open Airplay when a song is playing, then select the source you want to send the tune to. Using Apple Watch and Airplay, you'll be able to listen to your favorite tracks on larger speakers with ultimate ease. You receive an email notification or a tweet on your Apple Watch. You want to respond to it, but feel you'd be more comfortable doing so on your iPhone. Here's where Handoff comes into play. The iOS Continuity feature means you can pick up notifications on your iPhone and Mac from your Apple Watch, or vice versa. On your iPhone app, go to My Watch, then General and toggle the option to enable Handoff. Impress your friends by showing off your cool new Watch face via a screenshot. The process is relatively similar to how you would do it on your iPhone. Press the side button while simultaneously pressing the Digital Crown and voila! Your screenshot will now be located in your iPhone Photos app. Ned Flanders isn't the only one who cares for lefties: Apple does, too. For the southpaws out there, you can change the orientation of the screen and even the Digital Crown to make for a more comfortable set-up. Under My Watch and then General, visit the Watch Orientation option to pick your preference: right or left. For those in the know, the conventional way to put your Watch to sleep is by lowering your arm. If the Apple Watch doesn't respond, another trick is to cover the face with your palm which will instantly put it to sleep. Glances are a great way to stay up-to-date with bitesize information you need every day, such as Activity, Weather, Battery Life, Heartbeat, and even SoundHound, to name a few. But did you know you can customize these by removing or adding your favorite glances? Head to the Glances page, which can be found in the Apple Watch app on your iPhone, and remove or add as you see fit from a total of 20 glances. Losing or misplacing your iPhone is always a nuisance, and asking a friend to call it is even more irritating. Well, now you won't need to because you can ping your phone using your Watch. Convenient! Open Glances and in Settings, press the iPhone icon with noise waves emanating from the side. Your misplaced iPhone should start making a loud chiming sound, making it easy to locate. There is no multi-tasking on the Apple Watch, so switching between apps the conventional way is quite laborious. A simpler way of doing this is by double-clicking the Digital Crown. Doing so will take you back to the last screen, allowing you to input commands here, and then switch back to the app you were using before. For example, you can start a workout, double-click the Digital Crown to select some tunes from the music app, then go back to the exercise app with another double-click. Easy.